I'm just finishing up my current tub of Cytosport's Muscle Milk protein powder, and I'm very impressed. This is my first time trying Muscle Milk, by the way. I've always heard a lot of good things said about Muscle Milk (taste and quality wise), and at the first chance, I picked up a tub of banana cream flavor. Cytosport Muscle Milk fall in the category of protein blends, most fit for use throughout the day, and also as a bed time protein. Muscle Milk is a protein blend of whey and casein proteins - in what Cytosport calls their EVOPRO formula - "evolution based protein". Muscle Milk - Evopro - What is it? As mentioned above, Muscle Milk is an ideal bed time protein because of its protein blend of whey and casein, and not necessarily ideal to take post workout. This "EvoPro" blend, is what Cytosport dubs as "Nature's Ultimate Anabolic Protein - Amino Blend". Why is that? Besides the whey and caseins in this blend, Muscle Milk is patterned after human mother's milk, which has important anabolic growth potentials. Muscle Milk includes alpha and beta micellar caseins, Alpha-Lactalbumin, Purified Bovine Colostrum Extract (rich in Secrotory IgA and IGF-1), lactoferrin, glutamine peptides and more. So just what are some of these ingredients? Alpha-lactalbumin has a protein efficiency ratio of 4.0 compared to 3.6 for whey and 2.9 for casein protein. Alpha lactalbumin also has higher biological value than both whey and casein proteins. It contains large amounts of essential and conditionally essential amino acids. Bovine colostrum - Colostrum is produced by female mammals during first 24 to 48 hours after birth, and it contains immune factors along with antioxidants, vitamins, minerals, enzymes, amino acids, and other growth factors. Bovine colostrum is identical to that found in human colostrum but at higher levels. In short bovine colostrum plays an important role in immunity to diseases among other important functions. There are various claims that bovine colostrum boosts IGF-1, however, after doing some research on this at pubmed, it does not appears so. While I found that many studies found bovine colostrum to provide significant benefits for athletes, but it did not boost IGF-1 like what many claim. Below are just a few of the many studies available. If you're lazy to read (and try to understand these studies), the gist of it, is that bovine colostrum provides many benefits for athletes, but non of the studies I viewed could confirm that it boosted IGF-1. Anyways, let's chat a bit on the protein blend of Muscle Milk, which is made up of whey and casein (Micellar Alpha and Beta Caseins and Caseinates, Whey Concentrates, Whey Isolates, Whey Peptides). If you've read my Met-rx meal replacement review, you may find some similarities in this protein blend. (where Met-rx calls their blend the Metamyosyn blend). The main reason why the whey & casein blend is so popular (effective) as a night time protein is because of their different rates of digestion and absorption. Whey protein is digested and absorbed rapidly, which also fills your blood with more amino acids rapidly, but this effect doesn't last long. So Whey protein is quick in, quick out. Increase in amino acid blood levels inhibits muscle breakdown and stimulates protein synthesis. However, research has shown that whey protein is oxidized (burned up) as much as it is used for protein synthesis, which means that less of what amount of whey you take in is used to build muscle. This is where casein protein comes in. Casein proteins have slower rate of digestion and absorption, this then gives it more time to fuel protein synthesis, and less into energy production. So in a nut shell, whey protein provides aminos almost immediately, and once the whey is all "used" up, the casein kicks in and continues to provide your system with amino acids - like a time release formula. EVOPRO™ Our custom evolution-based protein, peptide and amino acid matrix designed to closely reflect the nitrogen components and ratios found in human mother's milk (Micellar Alpha and Beta Caseins and Caseinates, Whey Concentrates rich in Alpha-Lactalbumin, Whey Isolates, Whey Peptides, Purified Bovine Colostrum Extract rich in Secrotory IgA and IGF-1, Glutamine Peptides, L-Taurine, Lactoferrin). See label for more ingredients. If you look at the fat content of Muscle Milk, it's quite high - probably higher than any other protein supplement out there. But there's no need for alarm, since this was intended in the formulation of Muscle Milk. 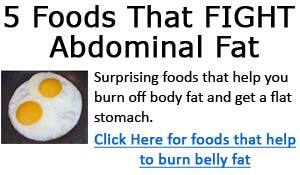 Most of the fat are medium chain tryglicerides (MCT) - they have slightly lower calorie content, and are more rapidly absorbed and burned as energy. MCT is also shown to increase calorie burning compared to other fats. Muscle Milk comes in a variety of flavors: chocolate, vanilla, strawberry, mocha joe, root beer, and banana cream. I've tried banana cream and strawberry. First of all, Muscle milk is pleasant to smell. ;-) The banana cream smells just like fresh bananas, and the taste is fantastic, even with just water. But I would recommend using milk, or if you're lactose intolerant like me, use soy milk. I give it a 9.8/10 on taste. The strawberry flavor was very good as well. I'm usually not big on strawberry flavors, but I got a single packet sample, and I have to say that this was probably the best strawberry flavor I've tasted compared to any others. Overall, Muscle Milk is just a fantastic tasting protein supplement. 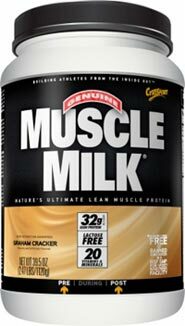 Muscle Milk costs $40 retail for a 2.48lb tub, but shop online, you can buy Muscle Milk for much cheaper for under $30.